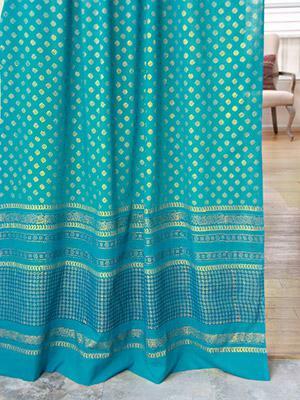 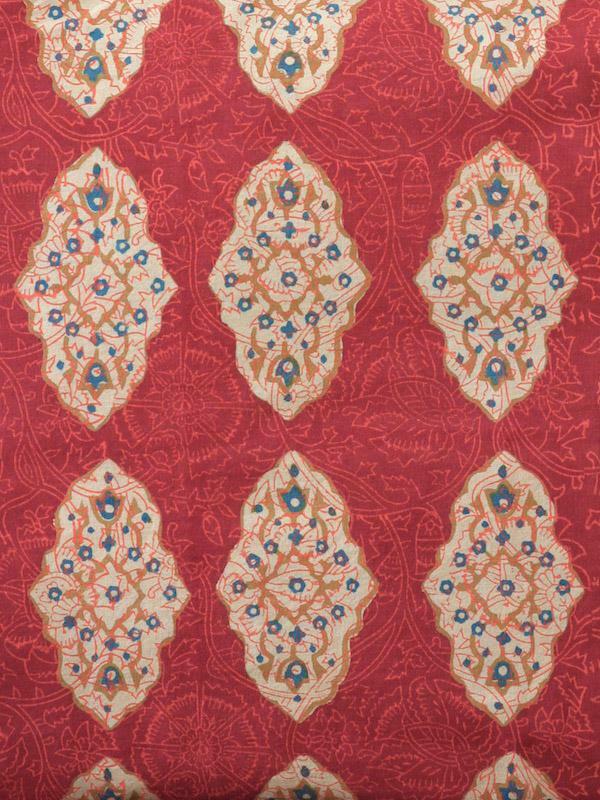 A spicy floral filigree of cinnamon, turmeric and imperial blue contained within baroque, lozenge like motifs that are vertically patterned on a rich red orange ground. 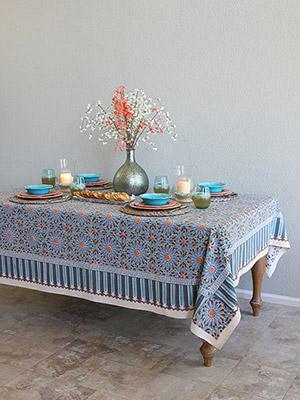 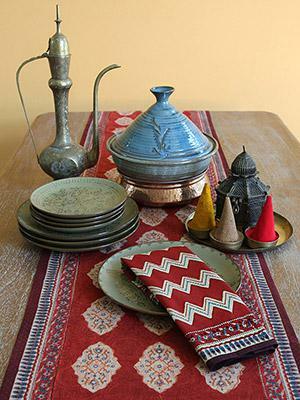 Why not infuse your kitchen with the same colors as the spices you are cooking with? 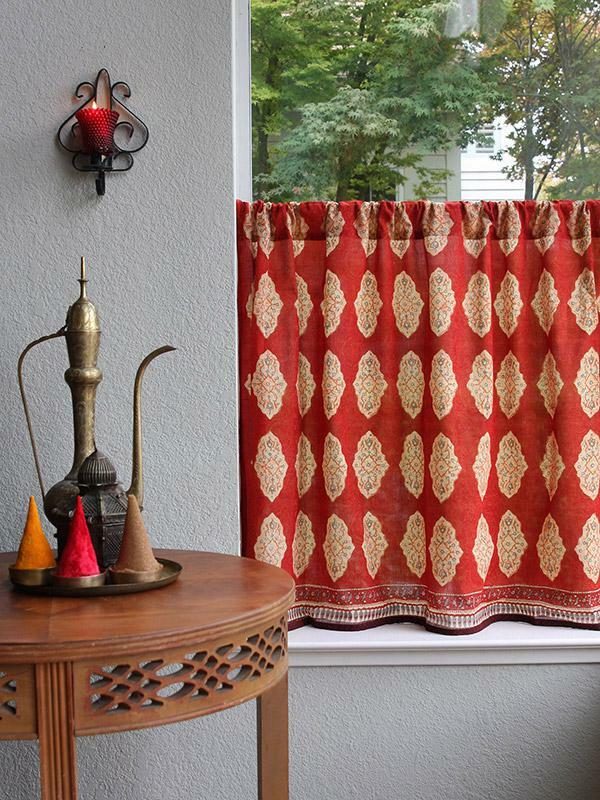 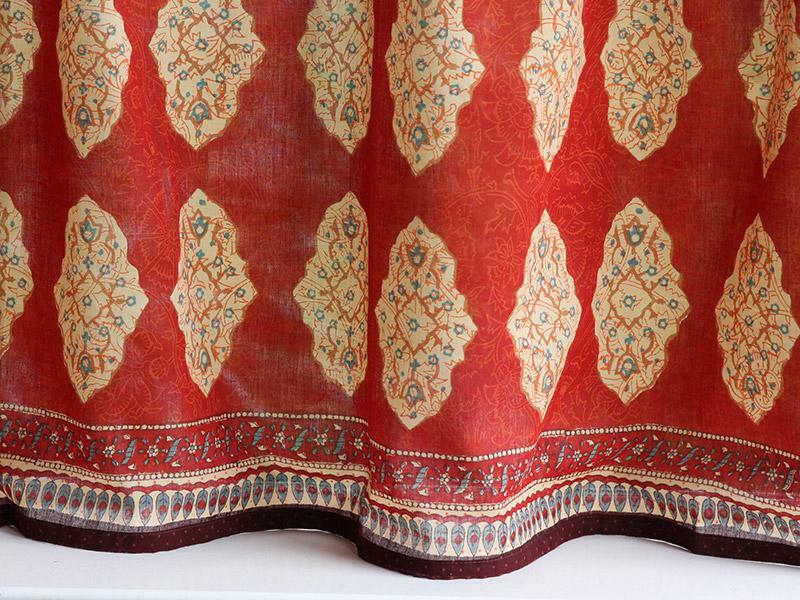 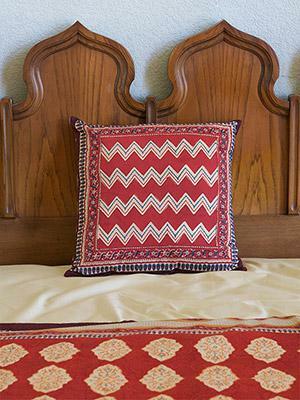 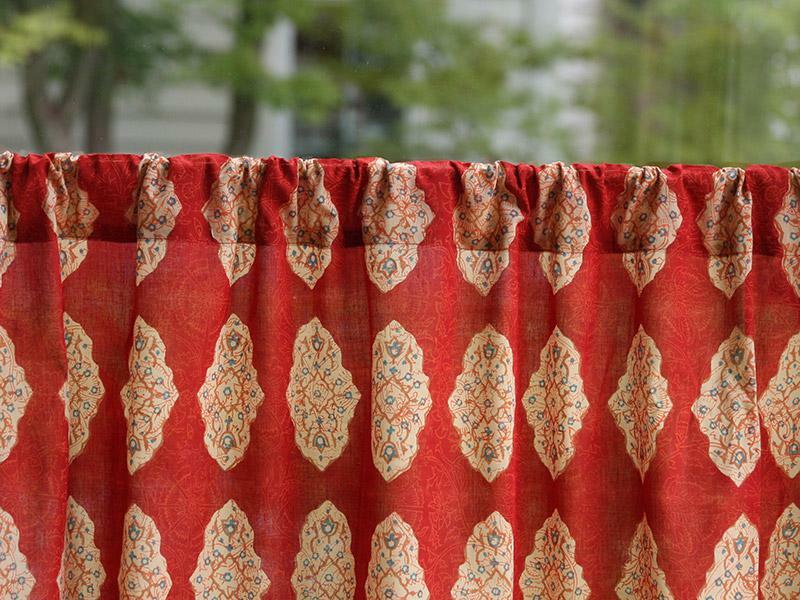 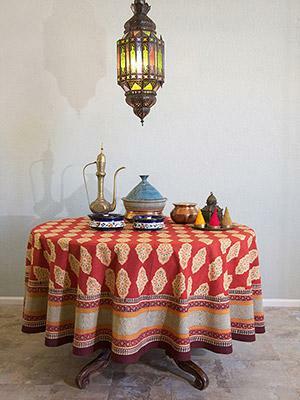 Cinnamon brown, turmeric yellow and cranberry red all come alive in Spice Route cafe curtains that will warm up your eating space when temperatures start dropping and add unique personality.